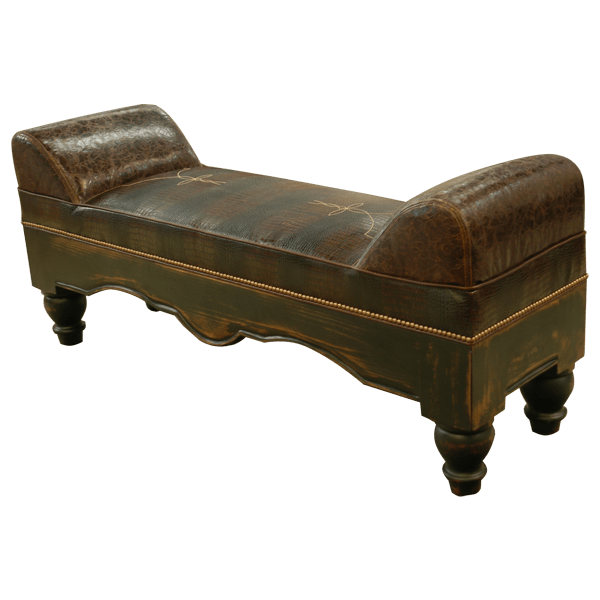 The antique finish on this handcrafted, Spanish colonial style bench blends perfectly with its patterned, leather upholstery. The bench is designed without a back, and it features padded armrests on each side of the wide, rectangular seat. 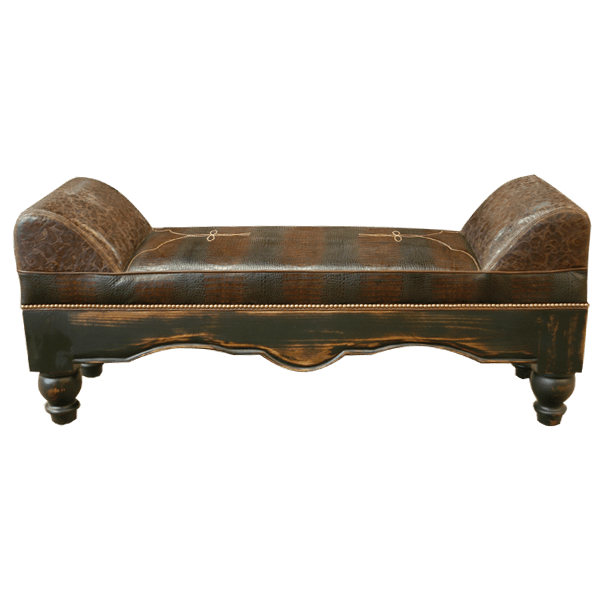 The comfortable, well padded seat and the armrests are upholstered with luxurious, patterned, full grain leather, and there are hand sewn details on each side of the seat. 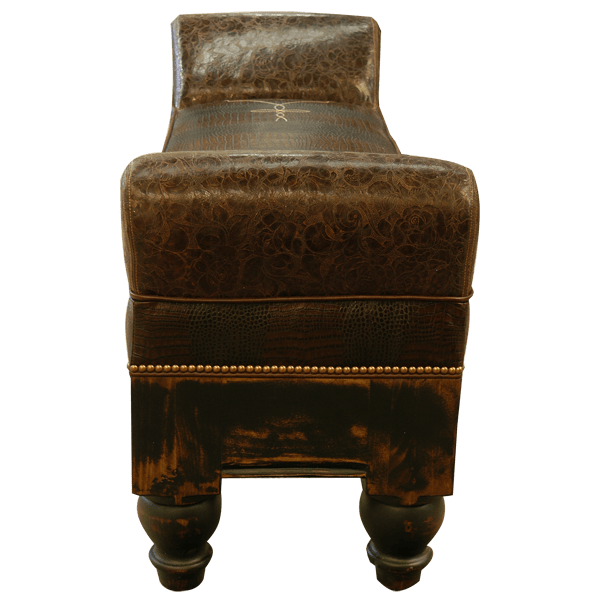 The upholstery is precision hand tacked to the frame with decorative, gilt nails, and the junctions of the leather are painstaking sewn together. The front of the bench is embellished with a beveled, Spanish colonial style apron, and the apron has a gorgeous, antique finish. The bench rest on elegant, hand turned legs, and it is made with the best, sustainable, solid wood available. It is 100% customizable.